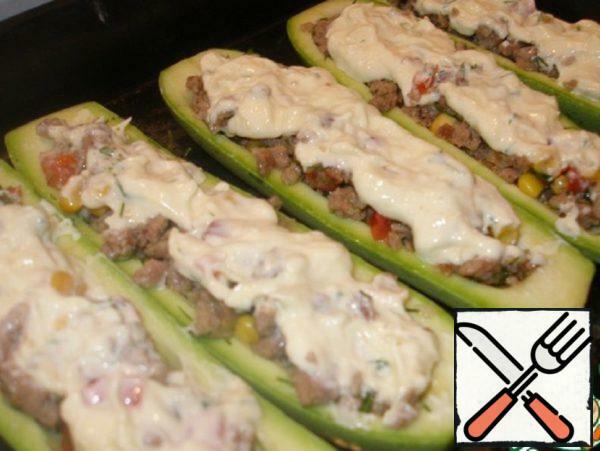 The site has about 30 options for stuffing zucchini. 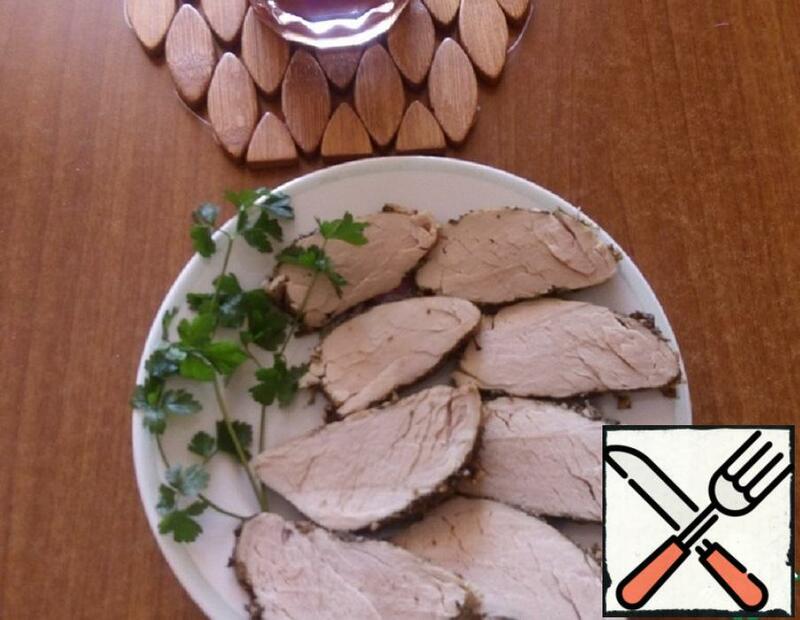 I hope my will not be superfluous! Especially when there are young zucchini in the house. Onions finely chop and fry in vegetable oil. 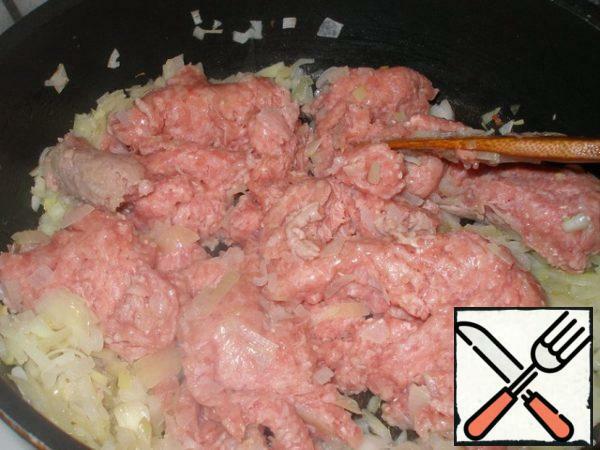 Add minced meat and fry until tender, stirring (10 minutes). 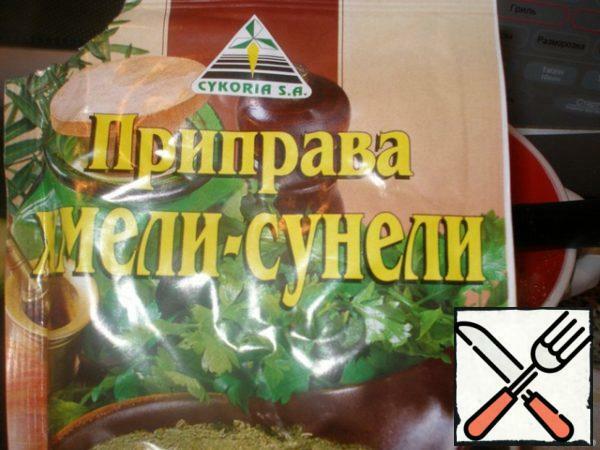 Season minced meat with salt, pepper, hops-suneli. Wash the tomato and finely chop, removing the seeds. 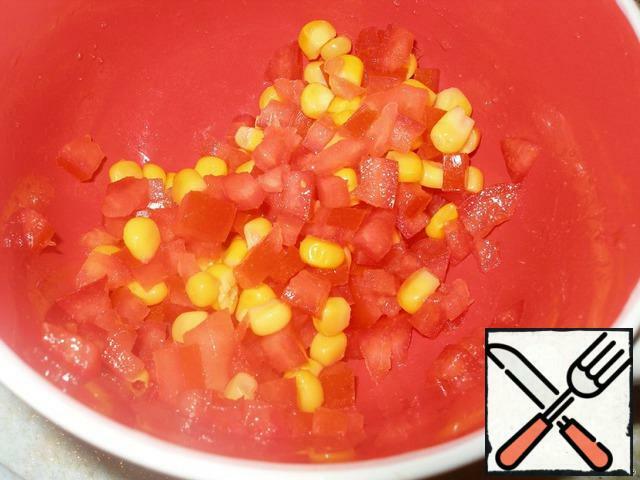 Mix the tomatoes with the corn. 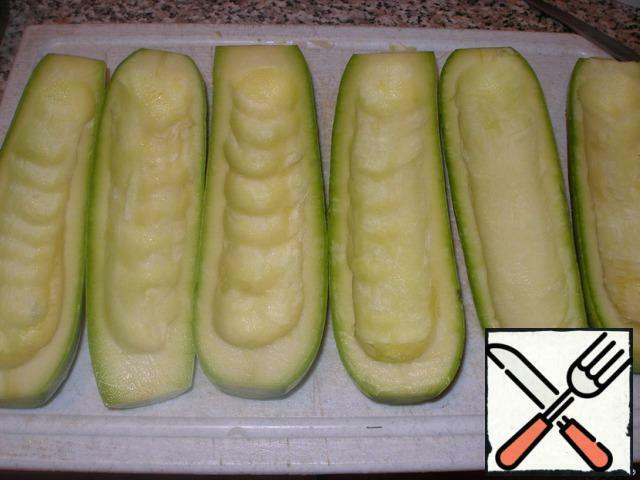 Prepare zucchini: wash, cut along, gently remove the pulp with a teaspoon (without damaging the edges and bottom). 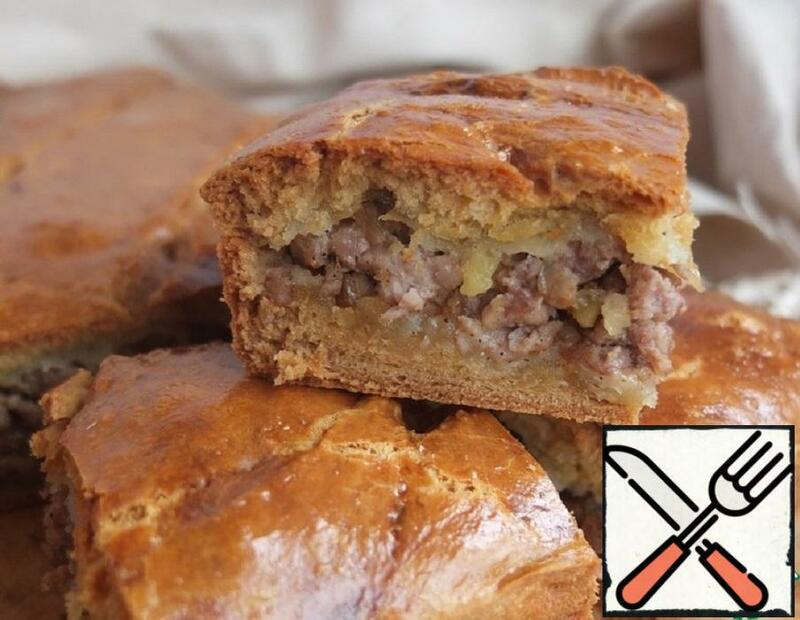 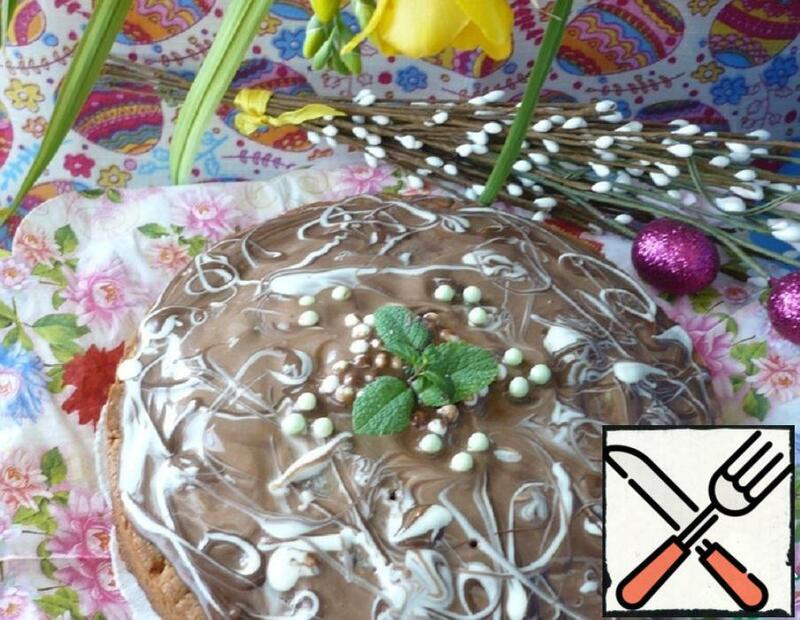 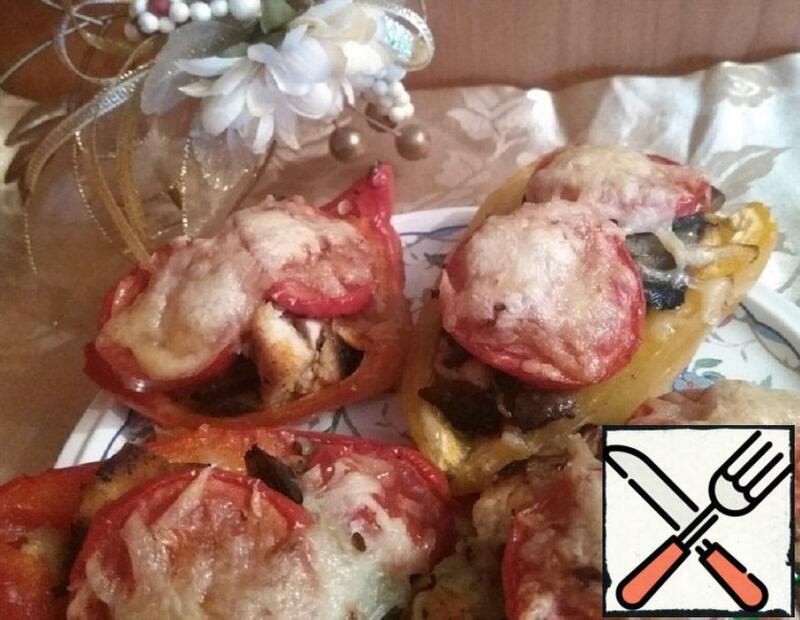 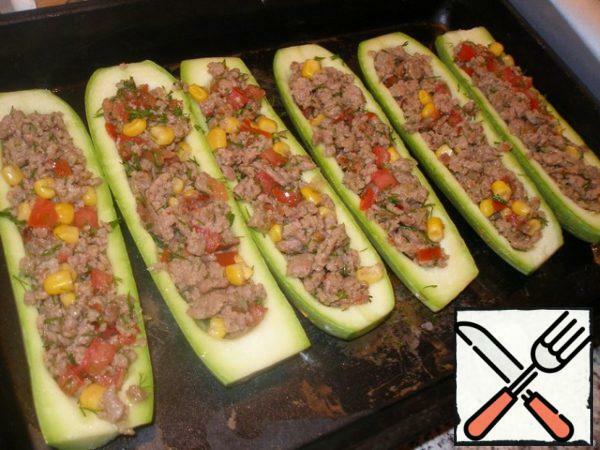 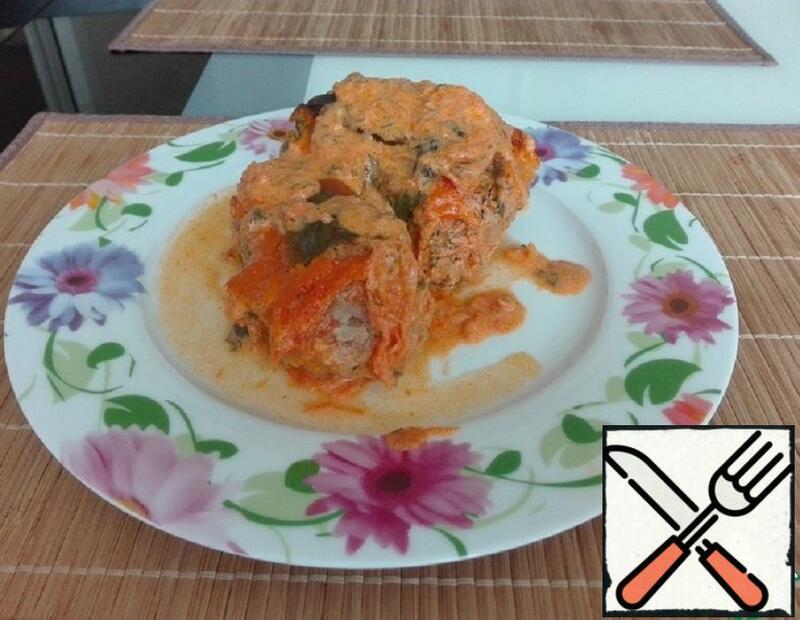 Mix the ready minced meat with vegetables and fill the prepared zucchini with this mixture. 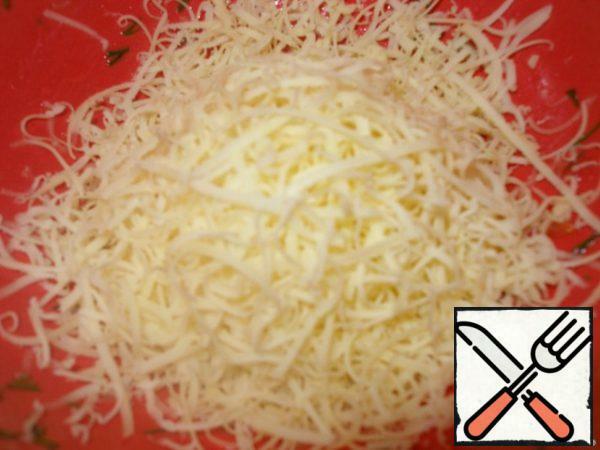 Cheese grate on a fine grater, mix with mayonnaise. 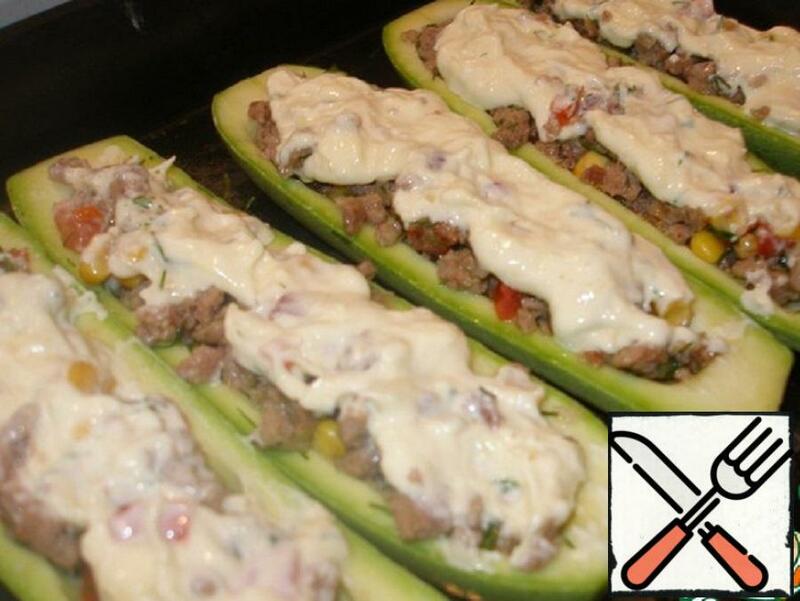 Cheese mass grease stuffed zucchini and put in a preheated oven for 20-25 minutes.